Good content does more than rank well in searches. It can inform your website visitors and give them a reason to trust you. Ultimately it can convert those visitors into leads which eventually turn into sales. Linking the quality of your website content directly to your sales in an important mental connection. Internalizing this connection will motivate you to spend the necessary time that it takes to make your copy great. Before we get into how to prepare good copy, let’s spend a few moments looking at what can make it bad (if not truly awful). What makes good copy go bad? Imagine someone who doesn’t put much real work into planning content. A lot of smaller businesses because of time constraints or just lack of knowledge never devote the time and effort into making sure that their website copy is truly good. Instead of planning out their websites and starting with copy first, they have some kind of brainstorm and realize that they absolutely need a website immediately. Without a second thought, they start looking for a designer or buy an off the shelf WordPress theme. For a lot of would be entrepreneurs that is the unfortunate (and totally unnecessary) end of the story. Their glossy new website now just sits around and collects dust because there’s no copy. There’s no copy because there was no plan. Because these entrepreneurial hopefuls never understood why they needed a website in the first place, they were never able to create a plan. Since they didn’t plan they also never understood how the website would help them make more money. It’s impossible to estimate a return on investment (ROI) in the dark like this. If everything is a guess, there’s no way to measure success. To be fair, they try. This is how copy never gets written. This is how a website and a business whither and eventually get forgotten. And it happens over and over again. They don’t know what kind of business they want, who their customers are, or how to get started. These unfortunates don’t like to accept that they have no idea what they’re trying to do. Who would? No one likes not having answers. People don’t like not knowing so much that they might even resist thinking about what they don’t know. This is a death spiral. It’s a feedback loop that gets worse and worse over time. It’s easier, more effective, and less costly to measure than it is to make a mistake cutting. In the same way, planning is much easier and quicker than writing aimlessly. What problem is your website solving? Solving this problem for your customers is your website’s number one job. Are most people looking for contact information to reach you? Do they want to know your prices? Are they looking for articles you’ve written? Whatever it is that your visitors will be looking for, make sure that information is easy to find. A well laid out website doesn’t just happen. It’s a product of thought, goals, planning, and organization. This guide will help most if you already know WHAT your business does, WHY you need a website, and WHO your customers are. If you need help with these fundamental steps, contact me and I’ll help get you pointed in the right direction. Just in case you start thinking that planning everything sounds too hard, think for just a few moments about the alternative. The alternative is the other way where you just dive in and start doing something. Planning first won’t guarantee that you won’t make mistakes or run into a dead end. Not planning though is just rolling the dice. Basically it’ll be a mess waiting to happen. You can expect to get more and more frustrated by the hour while you try to fill out the sections on some cheap WordPress template you bought. Or even worse, you might be sitting in front of a nice looking and expensive custom website that you’re still paying off. When you finally get tired of fighting with your website, you’ll either give up or end up paying someone to fix everything for you. Now that’s a mess. And it’s a pricey one. If that scenario isn’t bad enough, think about how much money your website isn’t earning for you during all that time. Feeling more motivated to start planning? I hope so. Read on. Planning your content before you start building you website gives you some serious advantages. Want to save days, weeks, or months wondering what to write? How would you like to look like the professional you really are (or want to be)? Want to get your website online fast? Would you like your customers to trust you and keep coming back for more? Movies and television shows start with the story first. So do video games. All these media start with a primary message (a goal) and then create a story to deliver that message. This all happens long before the cameras start rolling or the game designers sit down to work. A website should work the same way. Setting a goal for your website is the first step to improve your copy. Go back to this question: What is the main reason that you need a website? Better understanding your business, who will visit your website, and how they got there. Structuring your website based on testable reasons, not your whims. A direct, clear, and consistently professional voice to your content. Content that is focused on communicating specifically with your customers. A website that goes online faster and stays within your budget. If you already have some copy written, start reviewing it now. You’ll probably find that once you look at your copy closely, you’ll see that it could use some refreshing. Follow the steps in this article and you can get your existing content into shape too. Let the goals you established for your website help you to decide what pages you’re going to need. Writing content takes time. Designing pages and purchasing images costs money. Make sure every page serves a definite purpose. Start simple. Stick to indicating only the most essential pages on your site. These would be the pages that will appear in the main navigation. You can always add more pages later. The key is to work effectively by only creating the pages you need. Next, start sketching out the structure of your website. When I’m working with a client, I ask plenty of questions so I can best understand what my client and their customers need. I use this information to create well organized site diagrams that show how the core pages relate to one another. Diagrams like this are popular with my clients because they look nice and clearly show how the pages connect to one another. Don’t get stuck on making a pretty picture though. The more important thing is to list out the essential pages. By this point you should have some thoughts about your customers, some specific goals for each page, and at least an initial structure for your website. You can now start organizing the content for each page. Every web page template has of a number of information sections that need to be completed. These strategic items help target each page. The narrower that a page is focused the more likely that it will have an impact on your customers. Describe exactly what this page is supposed to accomplish. You should summarize the purpose of every page. The goals for a landing page vs. an About page vs. a front page can be very different. For example, your product pages need to be focused on encouraging your customers to buy and an About page is focused on convincing your customers to trust you. Every element and every word on a page needs to be oriented to its goal. Knowing your audience is vital to focusing your message. Learn everything you can about your customers’ pains and desires. Know exactly what they want and then give it to them. You may have already prepared user personas to identify your ideal customers. Good job if you have! Reference those personas in this section. If you haven’t created any user personas (yet) and you still want to finish your template, then in the meantime you can briefly describe who will be reading each page and why. Does your content need to be freshened up from time to time? Include that information in this section. When do you need to update it? Is there any additional content that you need to this page later? This word or phrase will be how you want your website visitors to find your site. Imagine a person about to search for something on Google. What would they write that would lead them to this page? That would be your keyword or key phrase. This is the customized page title and description that search engines see and display in search results. These are the elements that your customers will see when they visit a web page. The exact elements you need will depend on what kind of business you have and the page type. If you have a variety of page types, you might want to have a content template for each one. The main content section of the template includes the page title, headings, sections, and body copy. This usually accounts for most of the content on a web page. What is the customer supposed to do? A call to action is usually a button that tell the customer what is supposed to be done. Literally, it calls them to act. The button could link to a contact page, a download, or anything that you want the customer to do. There are a lot of other content elements that you might want to place on a page but not all pages require them. In general, it’s best to stay focused and not include any more than is necessary to achieve the page goal. Putting everything you can think of onto a page will dilute your message. 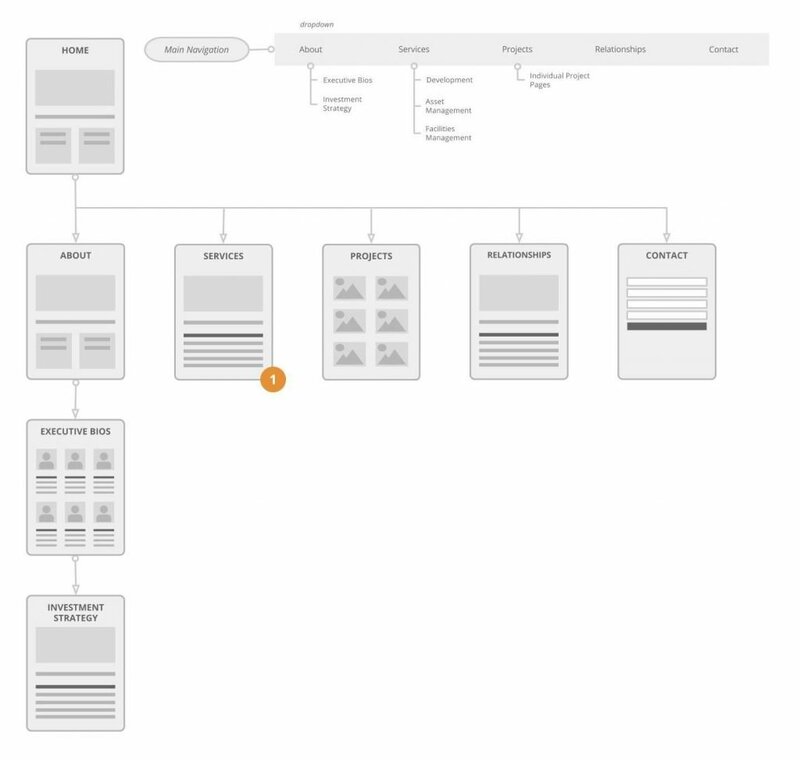 Using content templates is a great way to organize the elements of your website. You can add as much detail as you like to each of these sections. As a rule you should treat your content plan and templates as important as you treat any other part of your business. The more thought and planning you put into this phase, the easier it will be to refine your message and reach your customers. If you could use some help setting up content templates for your website, I’m happy to help.